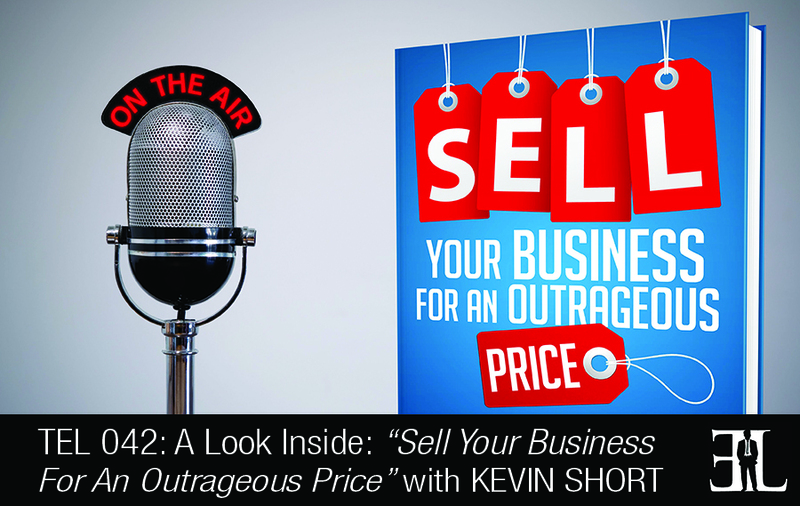 In this episode Kevin Short shares his book, Sell Your Business For An Outrageous Price. In his book, Short unveils over 5 years of research in selling businesses combined with over 25 years of experience in mergers and acquisitions. Unlike other books that teach you how to sell your business, this book takes you one step further to prepare business owners like you in getting more than twice what your business is worth. Sell Your Business For An Outrageous Price is the perfect book for business owners looking to sell their organization that are making between 10 and 100 million dollars in revenue. Nobody to our knowledge has written a book about how to get an outrageous price for your business. There are a lot of books out there about how to sell your company but nothing out there with the recipe of how to prepare yourself to see if you can get more than twice the average. I would recommend reading it from start to finish because it builds as you read along. Making sure that the seller always has their antenna up when looking for the right buyer. There are four pillars to this whole concept in the book. In the first pillar Kevin starts with Michael Porters theory of competitive advantage and competitive theory. You must figure out if there is something that you’re doing that would be attractive to a large buyer. The second pillar talks about having a very well qualified large buyer. You will not be able to get an outrageous price from a private equity group or a financial buyer. At the end of the day paying 10 or 20 million is not a big deal to a multi-billion dollar corporation. You must do your homework and research as to properly identify these qualified buyers. It is also important to develop a good strategy that will get the attention of these buyers. Ideally you want to entice the buyer to approach you about buying your company. The third pillar is the seller. The seller must be prepared to in a way play poker with the professional buyer. When messing with this amount of money, it’s not going to be easy and the seller must be prepared for the competitive fight. The fourth pillar is about having the right professional team to make this happen. If you don’t have the right investment banker and attorney you will have a hard time making this happen. Make sure that your attorney trusts the investment banker and is ok with going along with this. If everyone is not on the same page the buyer will realize that. I am the Managing Partner and CEO of Clayton Capital Partners. I have been in investment banking, specializing in mergers and acquisitions, for 25 years. I’m married and a father of four girls who keep me busy all of the time. I’ve done hundreds of deals in my M&A career and about 10 years ago I began to see this phenomenon of taking a company to market, expecting to get a 5 multiple of earnings and someone bids a 10 multiple. This made me wonder why one computer would be able to rationalize paying twice as much than the average multiple. About five years ago I started researching this information and started writing this book.